What are the benefits of using Saizen? If you want to look and feel years younger with more strength, vitality and less body pain, haggard looking skin and a better memory with a stronger sexual libido, hormone replacement therapy can be just what you need. Continue reading to learn how you can get a prescription for the medication that will give you remarkable Saizen benefits. Call our clinic toll free for a no charge consultation with one of our expert clinical advisors. You will discuss the symptoms that you are experiencing and have the opportunity to ask questions and get information about hormone replacement therapy from our experts. They will ask you questions as well to get to know you, your health situation and your goals for therapy. If you both decide that this kind of treatment is for you, you will then move to the next step which is getting tested. Our advisor will set up an appointment for you with a local clinic in your city. 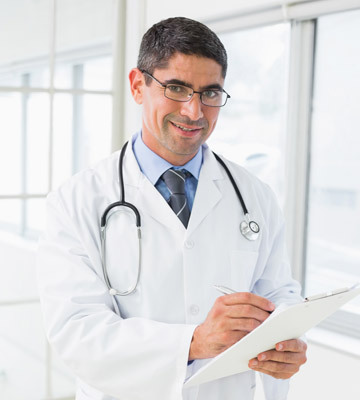 A qualified professional will take a blood sample and you will also get a physical examination completed. You will share your medical history with us, but that will be done via an online form that will be sent to us virtually by a secured connection through our website. Next, our doctors will read and analyze your test results. Taking all of your medical information into consideration, they will be able to tell if you have a growth hormone deficiency and if you are in good enough health to participate in HRT. If our doctors believe you would be a great candidate for HRT, you will then get an accurate prescription and a carefully created, individualized treatment plan made for your needs. Medications and supplies will be shipped to your home or office and you can begin therapy. This is how simple it can be to start experiencing the benefits of Saizen injections. You will definitely need that prescription, as it is not only mandated by any reputable HRT clinic, but by the US law as well. These kinds of human growth hormone medications are controlled substances. They can only be given out with a prescription and taken with medical supervision by a licensed doctor in this field of medicine.